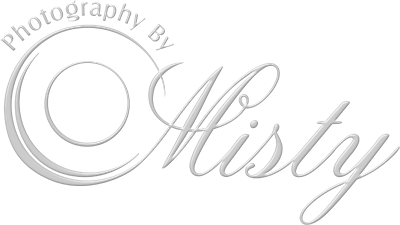 Thank you for joining Photography by MIsty community! We have received your email for our mailing list! We look forward to keeping you in the "know" for upcoming photography events and up and coming local businesses! St. Ann's, Best Patio in Dallas? Who's Up for a Good Story? Inspirational video of makeup for a female Mad Hatter character! When you can't do it yourself, leave it up to the professionals to execute your goals! Children's Portrait Sessions can be stressful for everyone (except for the photographer). Let's all work together to get some beautiful images of our Dallas, Plano, Allen, McKinney and Frisco children. Marbles' Salon stylist demonstrates how to contour face for portraits and everyday. Every month we team up with Marbles Salon in Plano where their stylists fix your hair and makeup followed by a Portrait by Photography by MIsty. Take a quick look at what life is like with Photography by Misty as we hang around Plano and learn a few things I like to do to turn a boring day into a Great Day! If you are one of those people who tries to hide behind others or objects when taking group pictures, you NEED to watch this and learn some great tips! No more floating heads please! Quick tips to tighten up your triceps before the summer! Thank you to Jamie at The Barre Code in Plano, Texas. Quick tip on how to consciously fight those pesky frown wrinkles and to remind you to laugh more! We LOVE those laugh wrinkles! Feeling confident with how you look will shine through in your portraits! Thank you for watching one of our on-the-go videos taken here in Dallas, Plano, McKinney area! Plano Moms review of our new program, Destination Transformation. Watch video to learn how you can become a healthier version of yourself!